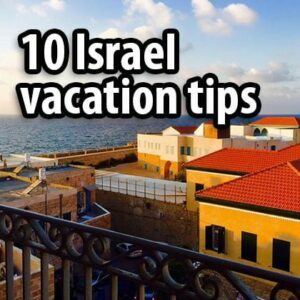 If you want to go hiking while traveling in Israel then this post is for you. I love hiking; it’s the reason I became a tour guide. 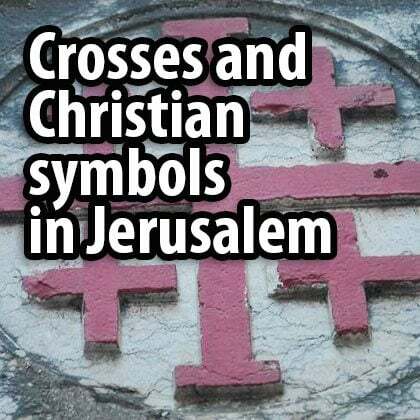 However, the main focus of the guiding course I completed was on history and Christianity (which makes sense, seeing as these are the main topics we discuss when guiding). But, personally speaking, hiking is what interests me most in the world of travel. # National parks that have options for long half-day or full-day hikes. # Some long trails in Israel. # Great companies that offer hiking services. Of the sixty-something national parks, some offer decent, long, 10km-plus hikes, and they provide you with a free map to take along with you. I’ll start in the north and go all the way down to the south. Free hiking maps you can get at the entrance to the national parks. 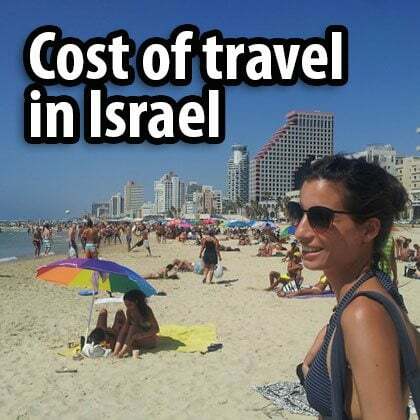 Entry costs around 30 NIS per person. 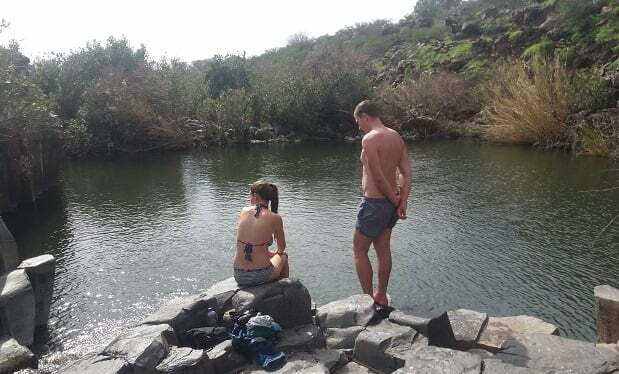 In the center of the Golan Heights, not far from the city of Katzrin, is one of the best-known national parks in Israel – the Yehudiya national park. 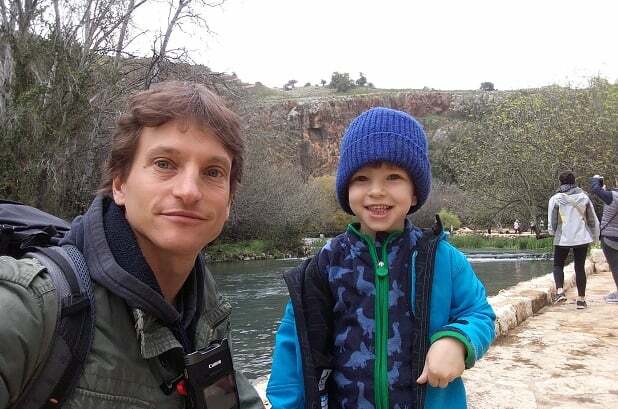 There are two rivers here, the Yehudiya and the Zavitan, and many options for short and longer hikes. If you want to do the longer hikes you need to start early in the morning, and you can also pitch a tent at the entrance to the national park; it doesn’t cost much. Another good reason to start early is that it is a popular park, especially on weekends and during holidays, so if you want to avoid the crowds, then you should start early. 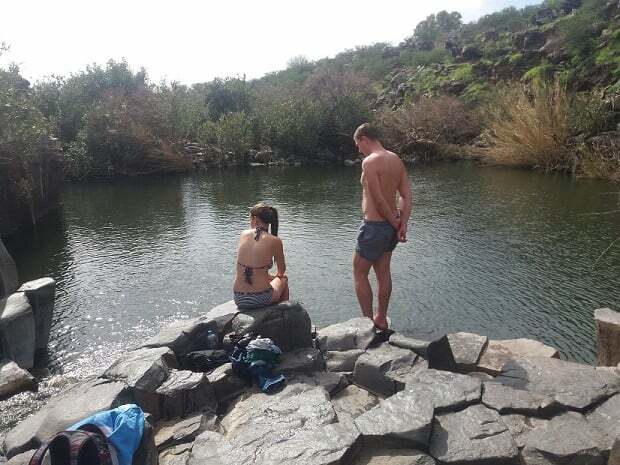 In the Yehudiya you have to go into the water at certain points, so hiking here is only feasible in summer. This is one of the few good options for hiking in summer, since generally October to April is the best time to do it, given the lower temperatures. A pool in the Zavitan stream (Yehudiya national park). The best option for a summer hike. 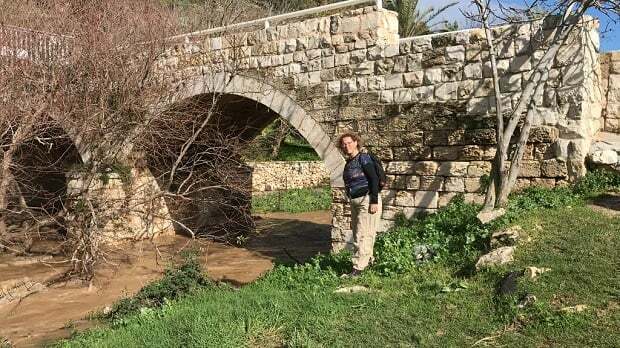 Of the three or four national parks surrounding the streams that feed the Jordan River, the Banias offers the longest hike, which is around a four-hour walk. 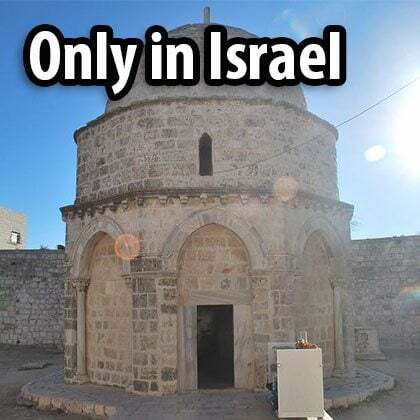 Most non-Israelis who visit this national park are pilgrims visiting because of its importance to Christianity – this is the place where Peter told Jesus he was the Messiah, and Jesus told Peter he would be the rock upon which he would build the church and gave him the keys to the Kingdom of Heaven. Groups tend to stay in the area around the ruins of the ancient temple, but there is a nice walk along the river. Banias national park. Not the best photo, but it’s the first one my son has ever taken, so it needs to be here. 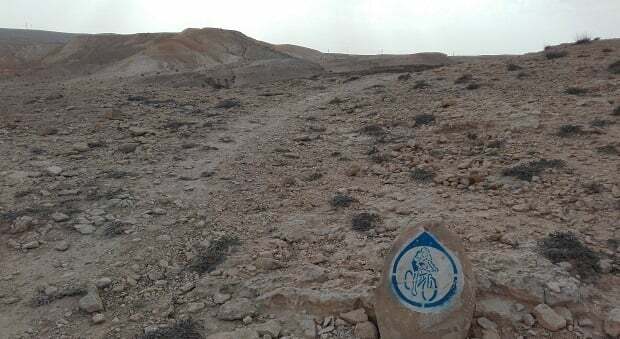 In the Judaean Desert you have Ein Gedi national park, which offers long walks that are great for wintertime. 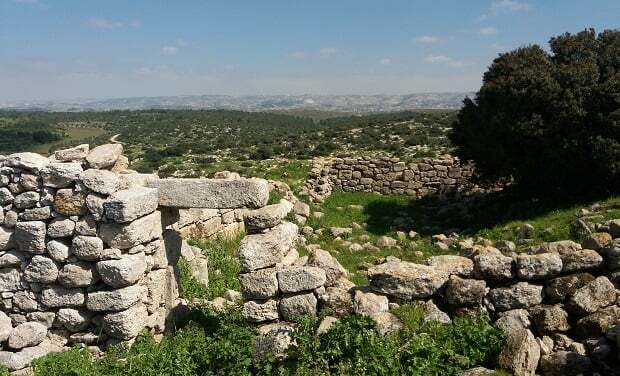 In summer, when there are extreme heat waves, you are not allowed to do the long hikes and here, as elsewhere, you will have to start early in the morning, at around 8am. 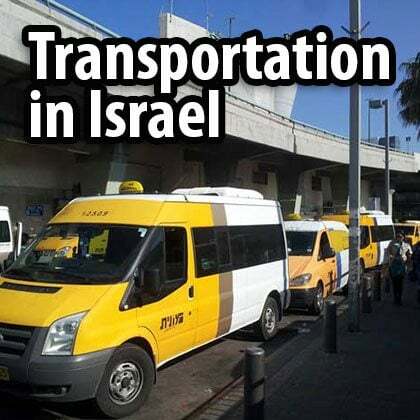 If you don’t have a car then it makes sense to sleep at Ein Gedi field school or ANA youth hostel. Both are very basic but located right at the starting point. 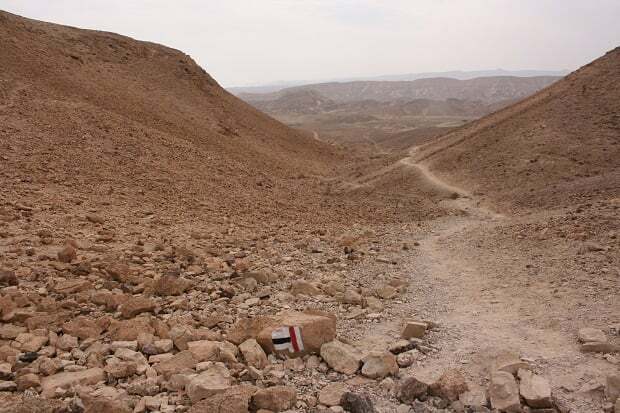 In Masada, one of Israel’s best-known sites, is the Snake Path, which leads up to Masada. There are thousands of posts about the Snake Path, but it’s very short; you’ll complete it within about 45 minutes. Pakal Kafe at Mount Elazar. Masada off the beaten track. 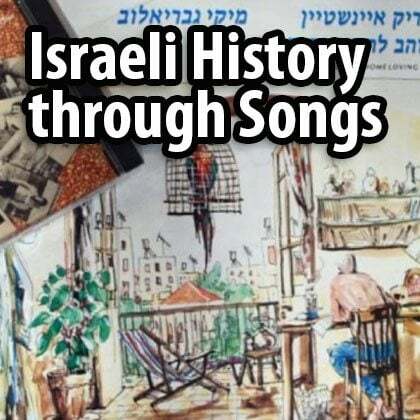 If you want to do the real thing, you can purchase my booklets (The booklets are only sold outside Israel, so order now and come prepared! 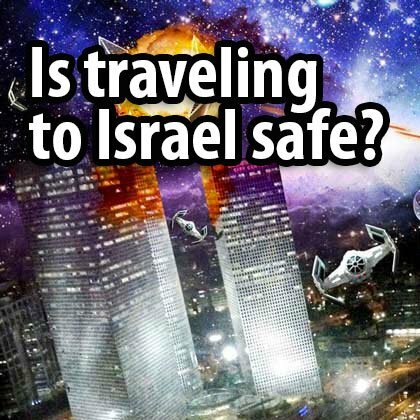 Or download as a PDF or EPUB (e-book), in which you’ll find a round trip that goes around Masada. You can combine it with visiting the sights and doing half or all of the trail. I absolutely love this trail: you get to see Masada by yourself, and it’s like the Snake Path only a thousand times better. However, it is only for good hikers, not to be attempted in summer, and you’ll need to tell the rangers that you’re planning to do it! There is a saying in Hebrew: The trail is smarter than the people who walk upon it. NEVER take shortcuts and always stay on the trail. 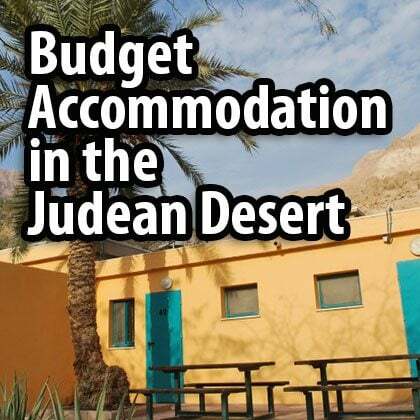 There is another ANA youth hostel here, right at the foot of Masada. 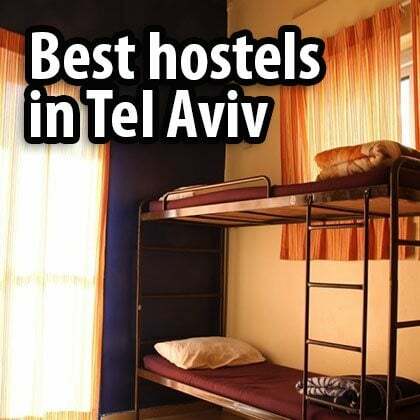 Like the one in Ein Gedi, it principally accommodates Israeli schoolchildren and isn’t like the great hostels in Tel Aviv and Jerusalem. 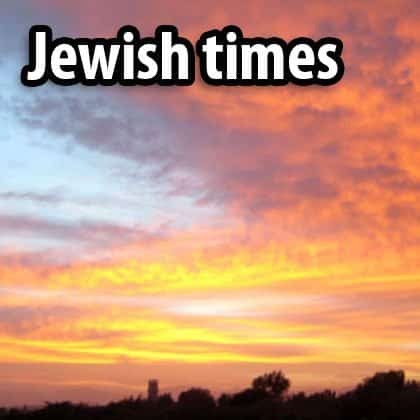 In the Negev Desert there are a couple of options. In Sde Boker, right next to the grave of Ben Gurion, is Matsok HaTsinim national park. 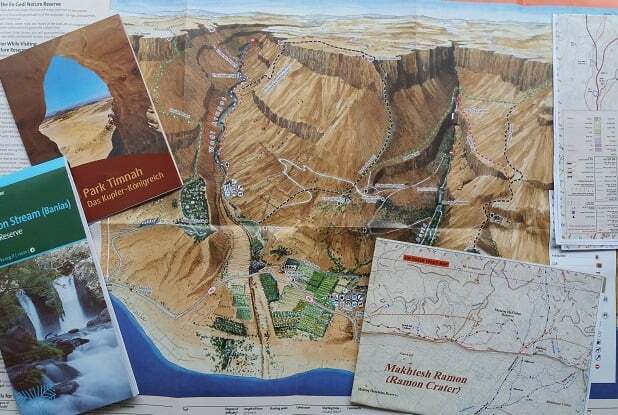 They’ll supply you with a map with plenty of hiking options, many of them leading through Ein Akev, which is a nice pool in the middle of the desert. 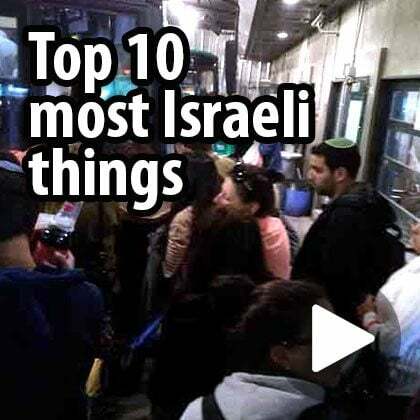 I don’t know why, but you will find less information in English about this national park, maybe because the tomb of Ben Gurion, which is also regarded as a national park, and Ein Ovdat national park, which is a small park nearby, attract all the attention. 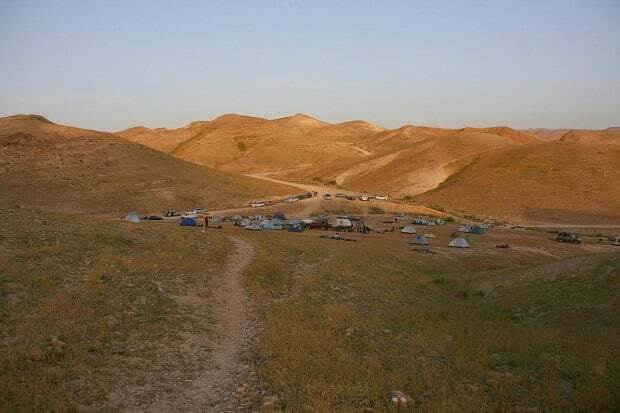 Nonetheless, if you want a full-day hike in the beautiful area of Zin Wadi, this is a great option. 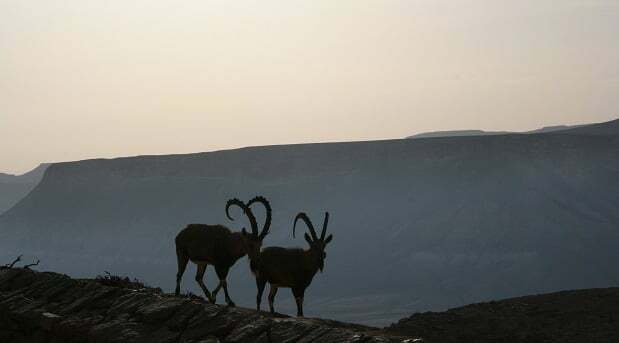 The Nubian ibex. 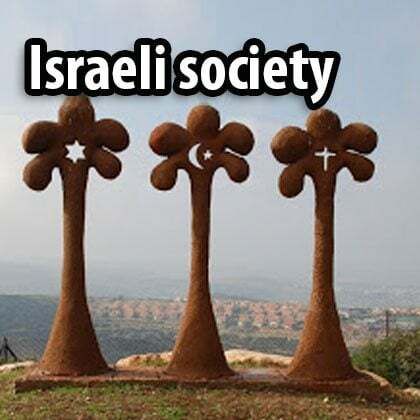 You will encounter them in the Negev and Ein Gedi. In Mitzpe Ramon, right on the cliffs of the Ramon crater, is the visitor center. Here you can also get a free map and head off on different routes: some are not circular and you will need to hitchhike your way back. 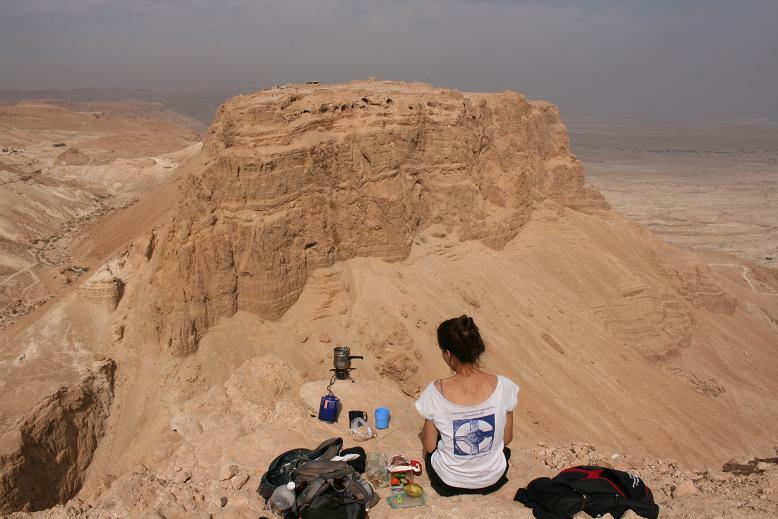 Mitzpe Ramon is a must-stop on your trip, especially if you come in winter. It’s a small town but it has all the facilities you’ll need, from hostels to luxury accommodation, supermarkets to restaurants, bike to jeep tours, and all situated conveniently close together. 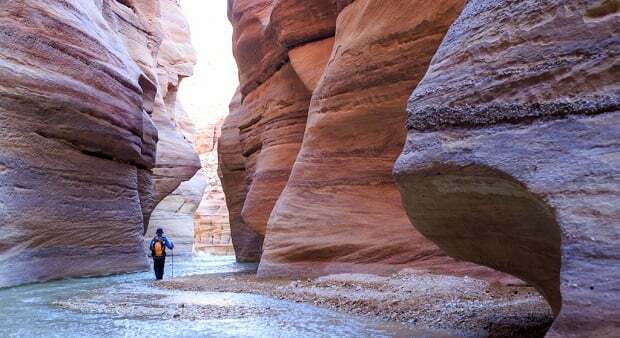 The last place on my list is Timna, 25km north of Eilat, which offers a variety of different hikes. Since Timna is not a national park, the rules here are not as strict. In all the other national parks, you will need to finish the trail by closing time, around 5pm (4pm in winter), but in Timna you can stay for longer. You also have the option of sleeping here, whether you pitch a tent or stay in a caravan. All desert hikes are to be undertaken in winter only, so October to April is the best season to come if this is where your interest lies. 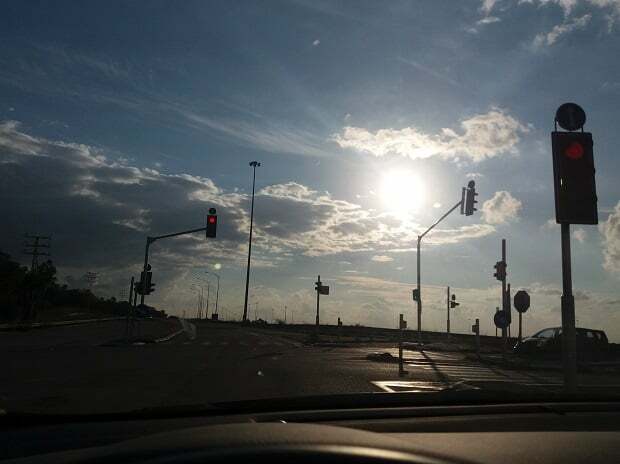 In summer it can be dangerous because of the heat. Always consult the rangers and tell them your plan, especially if you’re walking alone. No shade to be seen. On hot summer days the elite units of the army don’t train, and you shouldn’t hike. Dehydration is one danger. Heat stroke, when the body can’t cool itself down, is even more dangerous. 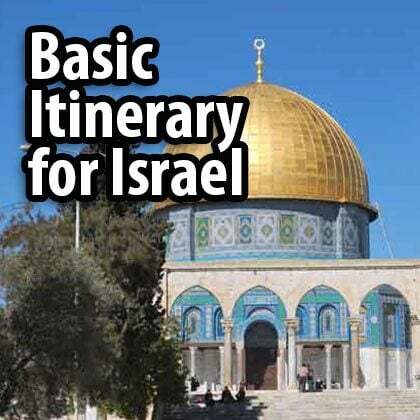 If you are interested in more hikes, I can recommend a website called Israel By Foot that provides GPS maps you can download to your cell phone, offering different trails for around five dollars per trail. National Geographic named the Israel National Trail one of the best long trails in the world. 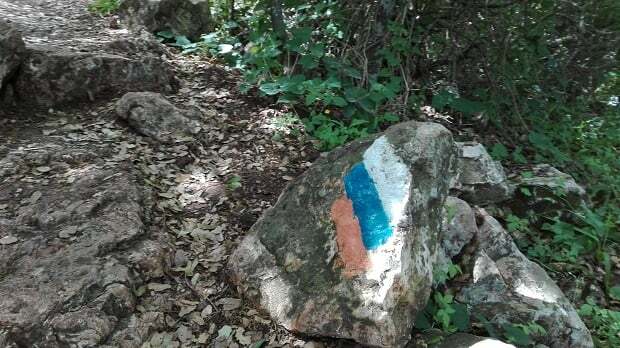 This really is the very top of the top trails, a 1000km hike from Dan (one of the streams feeding the Jordan river in the Upper Galilee) to Eilat. Along the INT, the white always points north and the orange points south. 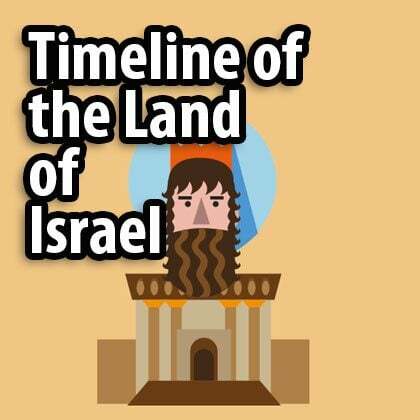 Israel National Trail App You can also use this free app to find shorter, day-long hikes. You can do the whole trail or just spend a couple of days walking it. In the north and in the center of Israel it’s a fairly easy hike. If you want to walk a part in the desert you will need to choose a section with access to water as there are long parts that don’t have any. 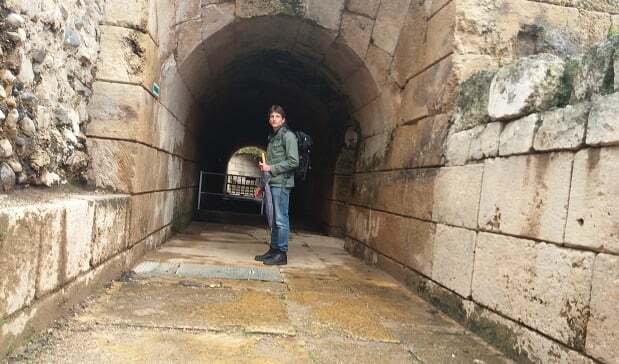 Another great trail is the Jesus Trail, which is a 4- to 6-day trail leading from Nazareth to Capernaum. 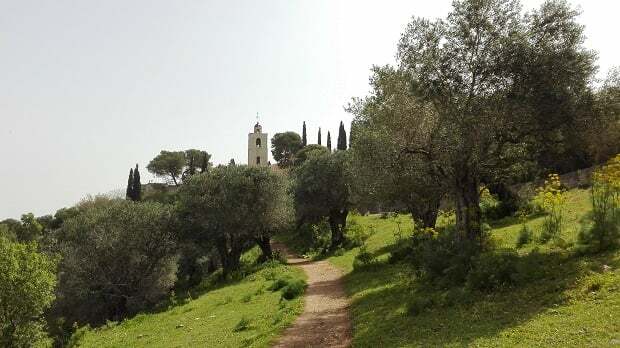 It goes through some of the Galilee’s most important Christian sites, but since the walk takes you through nature and you come upon various sights, you don’t need to be a devoted Christian to enjoy it. The third long trail is the Golan Trail, which crosses the Golan. It is 125km long and takes about a week to complete. There is less information available about this trail and, as far as I know, there aren’t any companies offering services such as guiding or carrying your belongings, but there are plenty of sleeping options and places to buy food. 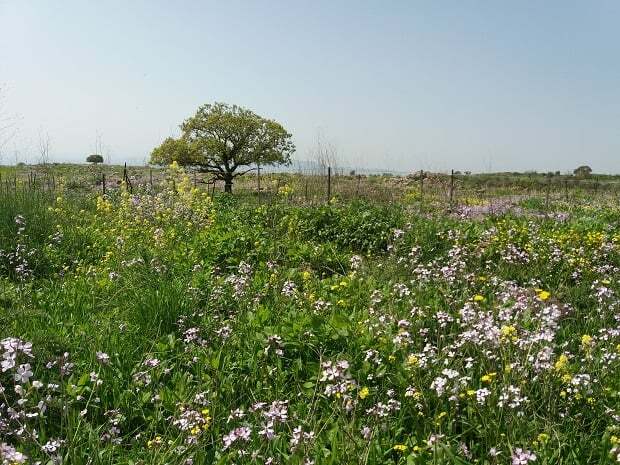 The Golan Heights isn’t as crowded as the Galilee and is a great choice for good hikers who love nature. April in the Golan. Everything is beautiful. 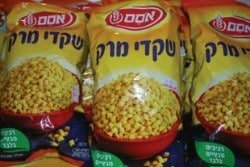 The wonderful thing about going hiking is not just the beautiful scenery and nature, but the chance to meet ‘the good Israelis’. 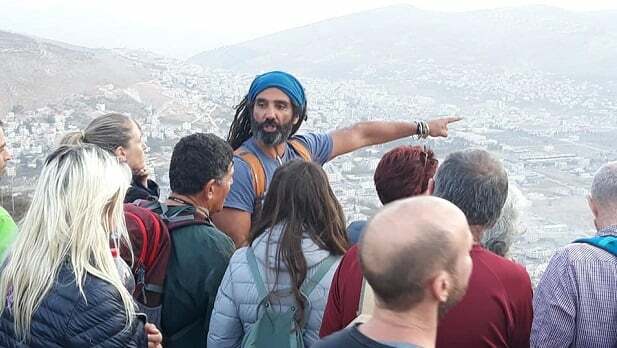 In Israel, hiking is not only a kind of sport like it is in other countries; it is something deeper, one of the basic values of Zionism, the connection to the Land of Israel, its nature and history. 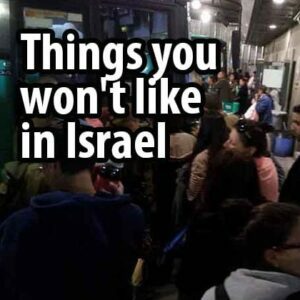 When you meet an Israeli on the long trails, he or she is someone you can trust. I don’t know this guy, but I know he can be trusted. If you want to hike with a group, there are some companies that I can recommend. As far as I know, there is nowhere that lists all of the trekking companies in one place, and this is the first attempt to do so. I’ve talked to many tour guide friends in order to be able to gather all the information here. I might have forgotten some, so if you’ve heard of any others, then please leave a comment below with the name of the company (actually, you can leave any comment – I would appreciate it). 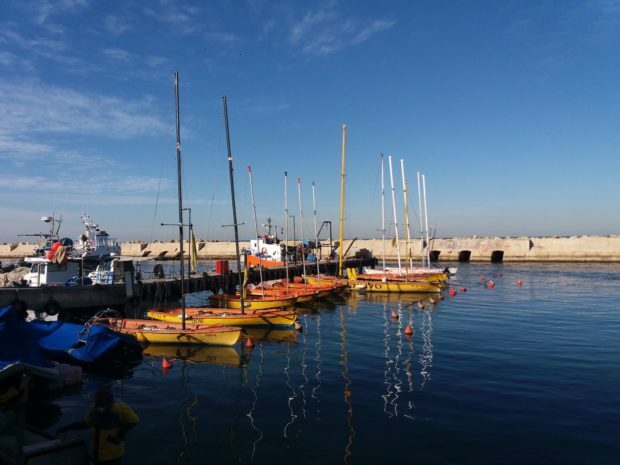 Walk about love is a company that organizes the logistics for those who want to do the Israeli National Trail. You can join for the whole trail or just for a couple of days. 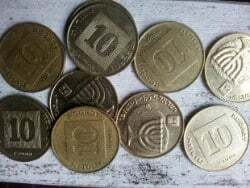 Four days is the minimum and it costs around 70 dollars per day. 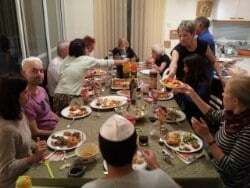 They arrange the logistics but you are part of the group, so you cook, eat, and clean together. 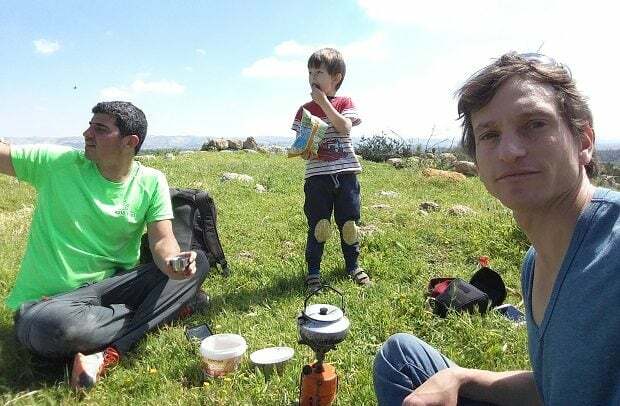 New Age Trekking is a company run by two people, Idan and Ori, who organize treks at various levels, from day hikes to extreme snow treks, very often with a mix of Israelis and non-Israelis. They also have a trek once a month that is tip-based, so you pay as much as you want (but do be generous). Finjan is another great company that offer hikes. 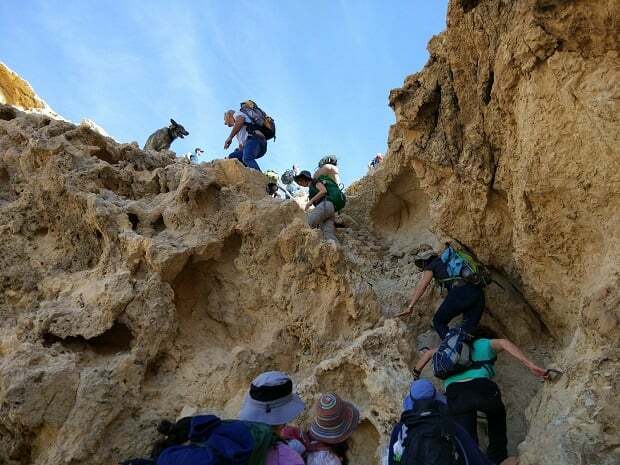 They also do a lot of trekking in the Palestinian territories and in Jordan. 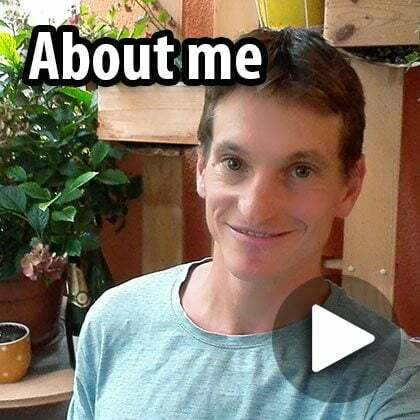 Omer Ziv runs Let’s Walk – Hiking Israel, an Israeli hiking club. 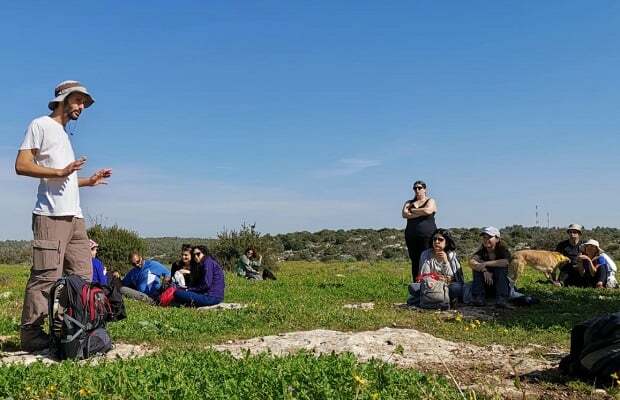 You can join for different kinds of day hikes taking place all over the country, including groups hiking the Israel National Trail. 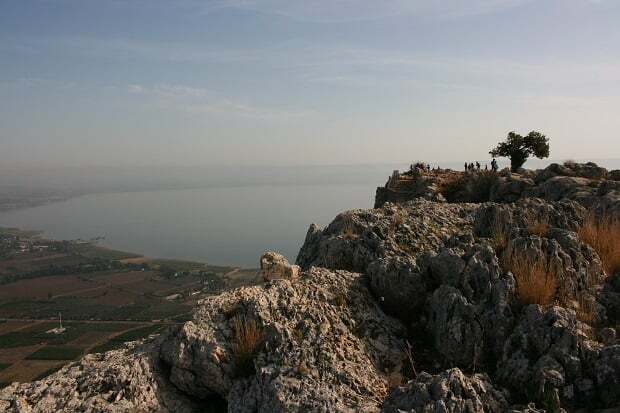 Israel by Foot runs weekly hiking tours to Wadi Qelt, which is not far from Jerusalem, and Mount Arbel, not far from Tiberias. The tours include transportation from central locations so there is no need for a hired car. If you are a group of hikers and looking for a hiking guide, there are also individual guides I can recommend. Shirin is a proper hiker. If you are a group that really wants trails that are off the beaten track, then he’s your man. 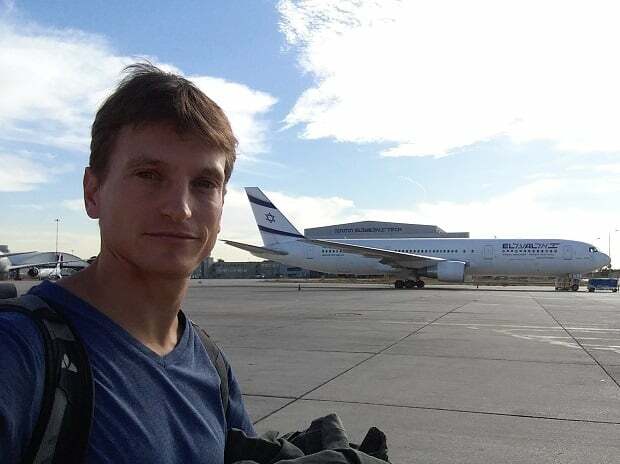 Raz Goren organizes and leads mountain bike tours all over Israel for all skill levels. 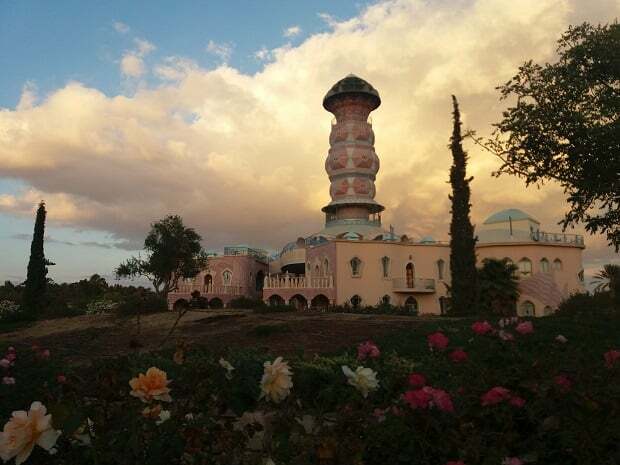 Rides may take in several days of cycling in the desert, or cover any other part of Israel, from north to south, including MTB rides in Jerusalem and its surroundings. 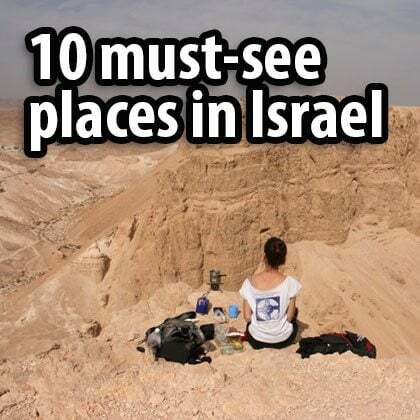 This is another great way to experience Israeli nature. My good friend Avirama is an expert on the Galilee. 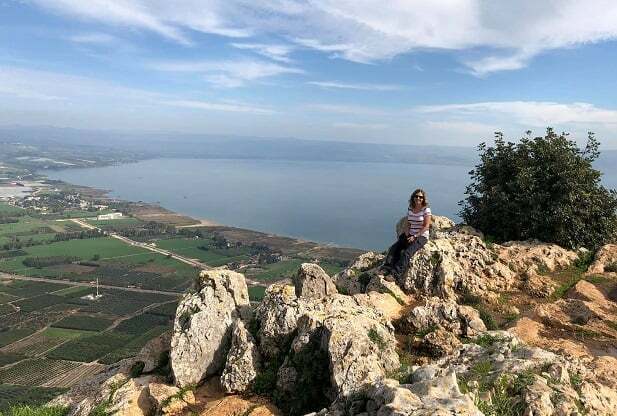 She can take you on great hikes in this area, including trails like ‘yam le yam’ (from the Mediterranean Sea to the Sea of Galilee), the Jesus trail, or daily hikes combined with trips to Akko, Nazareth, Safed and the Golan Heights. I hope you found this post helpful. 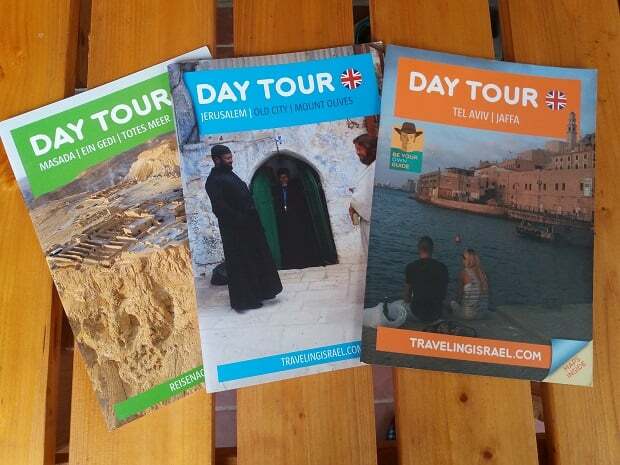 I’ve compiled all the interesting information that I share on my tours in Jerusalem, Tel Aviv and the Judaean Desert into three beautiful booklets that you can now buy or download as a pdf or e-book. By purchasing them, you will also be supporting me and allowing me to upload more content. Any comments? leave them below!